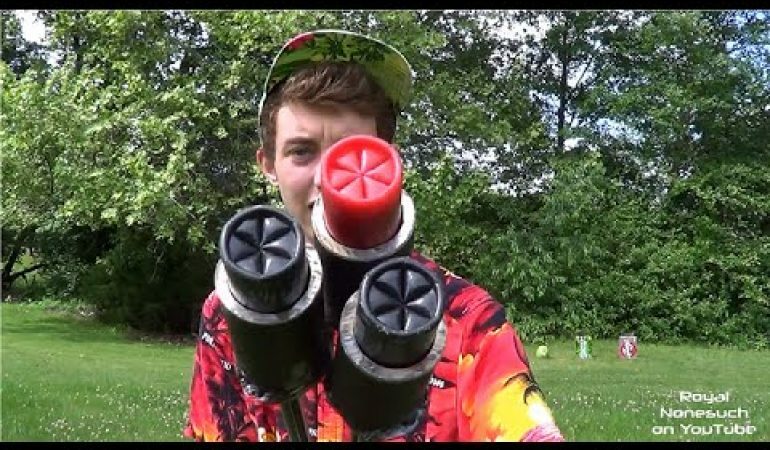 These 12 gauge exploding arrows will blow you away. After all, ordinarily when you think of someone firing an arrow from a traditional bow you think about stealth and silence; however, with these explosive headed arrows you will need to think about explosions and huge bangs. As their names infer, these arrows literally explode when they hit the target. Or, for that matter, they explode not matter what they hit, intended target or not. But, regardless of that, these 12 gauge exploding arrows must be tons of fun. This funny dude also has a video teaching how to make these exploding arrows.